Hi! I'm Martina, a 30 years old girl from Italy. I really love reading, photographing, travelling and cooking, especially cakes and biscuits. I hope you enjoy your visit!!! After a long summer, spent wearing sandals, fluttering dresses and eating ice-creams and juicy fruits, I’m ridiculously excited about the recent arrival of autumn, which is absolutely my favorite season. Nights are getting darker and you can spot the morning’s frost in the fields, meaning that is finally time to wear cosy sweaters, colorful tights and scarves and enjoy the warm embrace of a woolen blanket. 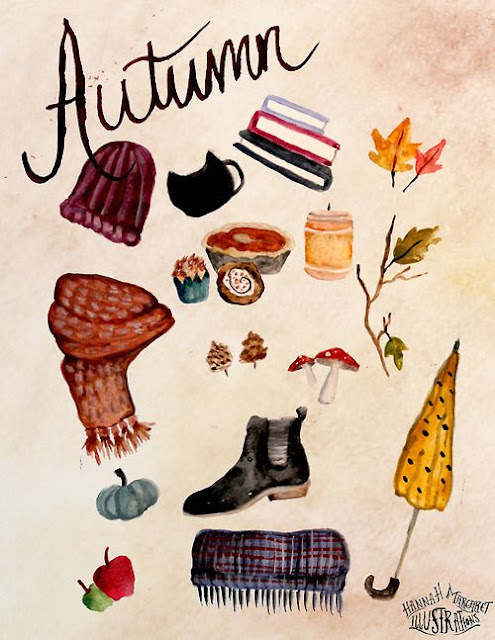 There are always many lovely things that I want to do in this amazing time of the year so, inspired by a video of my favorite BookTuber Lauren from "Lauren and the Books", I decided to write my own autumn bucket list, and try my best to tick the most of the things during the months to come. Take a walk and crunch the leaves. Read a thriller and a ghost story. Have a movie day under the duvet. Enjoy a foggy morning walk. Explore the woods in their autumnal glory and pick up chestnuts. Wear my favorite sweater to stay warm. Decorate the house with pine cones, chestnuts and beautiful leaves. Spend an afternoon curled up under a blanket, with a good book and an hot chocolate. Snuggle into a cozy scarf. Make a “London fog" latte. Take my own fall pictures. Unwind with a relaxing day at the SPA. Wear my pairs of brogues. Make homemade granola with chocolate and hazelnut. Autumn is just around the corner and I’m writing these words in my living room, with all the windows opened and the sound of some trumpet players who are performing on the street. It’s about 27 degrees where I live and I’m dreaming about soft blankets, woolly socks, hot chocolate and crispy leaves, but actually I’ve just eaten a huge ice-cream..one of the last of the season I hope! 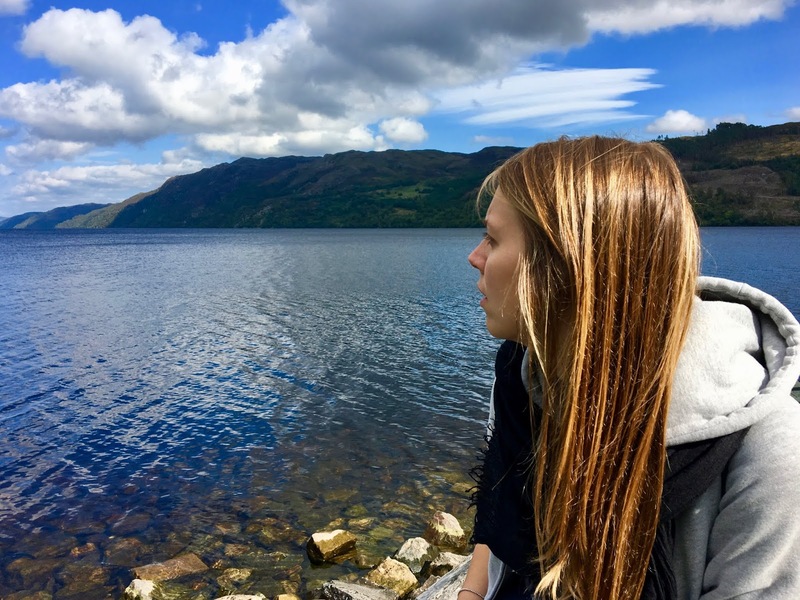 Scotland: I visited Edinburgh last January and I loved it so much that I decided to come back to Scotland for the summer holidays! The city was even more beautiful with the late summer light, and I also explored St Andrews, a lovely city on the est coast of Fife, and the Highlands, where I tried to spot Nessie in the deep waters of Lochness. The open- air market: on Saturday morning there’s a nice market in my little town, where you can buy fruit and vegetables directly from the farmers! I really love leaving house with my favorite cloth handbag, that my mother made for me many years ago, walk to the small banquet of organic fruit and vegetables and choose the best ones, dreaming about al the succulent recipes and being inspired by colors and perfumes. A new routine: this post is all about weekends, I know, but for me it’s actually the best best part of the week! On Sunday morning I really like to have a slow awakening, with the sunlight coming in from the balconies left ajar, getting up slowly and dragging me lazily in the kitchen to make a cup of tea .. at the moment I’m mad about Lady Grey , with a splash of soy milk, or with sugar and lemon, to be enjoyed in bed with a copy of " The simple things”, the best magazine ever! Fig jam on toast: figs are among my favorite fruits and their sweet and intense taste is enhanced if you spread the jam on a crunchy and warm white bread! I’m a creature of habit and I usually have breakfast with fresh fruit, yogurt and cereals, but for this treat I gladly make an exception! An event called “Silent Fireflies”: a walk in the sunset, accompanied by a soundtrack of stories, sounds and suggestions in search of relationships between energy, life, light and shadow on earth. It ended in a cathedral, in the dark, with Handel’s largo..so moving and evocative that I’ve never felt so close to the spirituality. In less than a month I will turn 30, so I thought it would be lovely to share with you 30 facts about myself, just to let you know me a little bit better. 1. I was born in Florence, but I live in a little city in the north-east of Italy; however I’m lucky enough to go there quite often to visit my relatives and enjoy the city! 2. I’m a social worker and I truly love my job. 3. I’ve always been a booklover and my favorite authors when I was child were Astrid Lindgren and Beatrix Potter. 4. I’ve just split up with my boyfriend after an year together. Will I find Mr. Right one day?!?! 5. When I was eighteen I discovered to be allergic to dairy products, so I’ve been craving for cheese for too many years. 6. I love walking in the woods, especially with Cloe, my parent’s sweet Yorkshire terrier. 7. My favorite season is Autumn, with its bright orange pumpkins, the crunchy leaves, the sweet hot chestnuts, and the first boiling herbal teas. 8. I’m a Pisces, a sensitive and emotional dreamer, but also stubborn and determined. 9. I’ve lived in Dublin for some months and Ireland, with its green fields and cliffs overlooking the sea, will be always dear to my hearth. 10. I would like to have a family one day and, If I could choose, two daughters. 11. I adore baking cakes and biscuits, especially for the delicious smell that spreads in the kitchen while they are in the oven. 12. Tulips are my favorite flowers, so they inspired the name of my blog. 13. I’m scared of blood and I’m very ashamed of it. 14. I have zero patience and I get annoyed very fast, but I’m trying to improve. 15. I haven’t worn a dress for ages, then one day I bought a beautiful one and I felt so good that I haven’t stopped wearing them anymore. 16. One of my favorite books is “ One day” by David Nicholls, and the story always remind me a person who in the past was very important for me. 17. I bloody love chocolate, especially dark with hazelnuts…or rather, I’m addicted to it! 18. I’m a morning person, so I hate wasting my time in bed in the weekends, especially if the sun is shining. 19. I used to dye my hair blond, but now I prefer my natural light brown color. 20. One of my biggest passions is travelling and the last city I’ve explored is Edinburgh. 21. I prefer tea than coffee and in the morning I drink a big cup of green tea with mint leaves. 22. One of the first things that I usually do when I come back home from work is to light a candle. 23. I’m not a big fan of makeup, but sometimes a beautiful red lipstick truly makes the difference. 24. Cleaning my house and tidying it up gives me satisfaction and makes me feel better when I’m stressed out. 25. I would like to be in better shape, but I really hate going to gym and do the exercises under the eyes of everyone…it embarrasses me a lot! 26. Green, in all of its shades, is my favorite color. 27. The Scandinavian countries fascinate me a lot, and I’m really into the hygge style. 28. I lived in Venice for years when I was at the university and I’m still dazzled by its beauty every time I walk its streets. 29. I studied Swedish when I was younger and I would like to learn this beautiful language one day. 30. I have a real passion for owls, so you can find them in every corner of my little flat. After mentioning it in my previous post, here I am, ready to tell you all about my wonderful trip to Edinburgh, a city that I’ve always dreamt to visit! This holiday was a Christmas present from my parents to me and my sister, because they know how much we enjoy exploring new places together! We arrived in Scotland on the 11th of January and, after a quick lunch and a little rest, we decided to have a walk to the castle that was all lit up and, despite the cold and the wind, the view that we enjoyed from up there was phenomenal. Victoria Street: a beautiful road, with colorful facades and marvelous shops, expecially the “Aha Ha Ha Jokes and Novelties”, which is full of masks and crazy things and it could really be run by Fred and George Weasley, and “ The Diagon House”, a wonderful place filled up with Harry Potter’s things like wands, feather quills, potion bottles, fluffy owls, chocolate frogs and much more. - The Greyfriars Kirkyard: an ancient cemetery that inspired the names of some J.K. Rowling’s characters; the most important one is “ Lord Voldemort” (Tom Marvolo Riddle), that has taken inspiration from the grave of Thomas Riddle which, I must admit, was quite hard to find and we were forced to walk in the mud to reach it! The day was very beautiful, with a pale sun and a blue sky, so it was nice to wander around the old graves, spotting some squirrels between the branches of the trees and earing the sound of the little birds. The Elephant House: this café is better known as the birthplace of Harry Potter, in fact it is said that the author, during her early years in Edinburgh, used to go there to write because she was short of money and the price of a cup of tea was cheaper than heating her flat! It was lovely to imagine J.K. Rowling, with her laptop and a steaming cup, looking out of the window at the castle and the ancient graves, dreaming about the adventures of Harry, Ron and Hermione. After an entire morning dedicated to Harry Potter and a yummy lunch with a pie made with pumpkin, potatoes and sage, we decided to explore Holyrood Palace and we lost ourselves in the sumptuous residence of the Windsor, carried away by its charm and enchanted by its history. Our third day in Edinburgh started with a visit to the National Museum of Scotland, where you can spend hours and hours wandering around all the rooms and looking at the exhibitions. It was really cold and cloudy outside so, after a quick lunch with a soup at the “Union of Genius”, we went straight to the National Gallery of Scotland, which displays some of the masterpieces of amazing painters like Monet, Van Gogh, Vermeer, Rembrand, Gaughin and many others. Despite all these important names, my favorite was “ The Reverend Robert Walker Skating on Duddingston Loch”, made by the Scottish painter Henry Raeburn. The sun shined again our second to last day, so we took advantage of it and we explored the beautiful Stockbrige. I truly loved that charming part of the city, so elegant and quiet on Sunday morning, especially Circus Lane, a little lane full of picturesque mews houses. It was amazing to do a little bit of shopping in the charity shops and have a walk in the market, which is full of great goodies also for vegans, with a huge cup of chai tea latte to warm our hands. Our trip to Edinburgh couldn’t be complete without a visit to the castle so, after a delicious fish and chips in a cozy pub, we challenged the icy wind and climbed the hill. Learning the story of the castle and have a look to the stunning jewels of the crown was really interesting, but what I enjoyed the most were the prisons, especially the graffiti left over the centuries by prisoners on the wooden doors. Time flies when you have fun, so the last morning we did some shopping ( I finally bought a Kanken backpack..yeahhh!!! ), we visited many second-hand bookshops and we walked along the Royal Mile, popping down the Closes on our way to Holyrood Palace. It was time to say goodbye to this wonderful city and, I must confess, I did it with a little sadness…Edinburgh really enchanted me so I hope to come back soon! “Life only comes around once, so do whatever makes you happy, and be with whoever makes you smile”. 1.Shopping with my mum: sometimes, when I feel totally exhausted and under the weather, there’s nothing better than an afternoon of shopping with my mum. She’s always been the one that could make me smile or cry, based on what I needed most, and today she was able to get me back in good spirits with her positivity and gentleness! We went in a lovely shop to buy some new super cute clothes ( a lovely black blouse with white swans, a black skirt with a big bow in its waist and a pair of grey woolly shorts) and we had the warmest cup of pomegranate green tea and the yummiest croissant with apricot jam! No doubt, mum knows how to make me happy!!! 2. Pumpkin soup: this winter has been all about soups…tasty little pleasures that warm you up after a long stressful day at work! There is a little market every Saturday morning close to my house, where they sell many organic products from the farms of the nearby villages, so you can imagine how sweet and genuine the pumpkins are. I‘m not a great chef, but I can easily made a tasty soup with pumpkin, potatoes and parsley, or sprinkle it with grains of hazelnuts…blissful! 3. 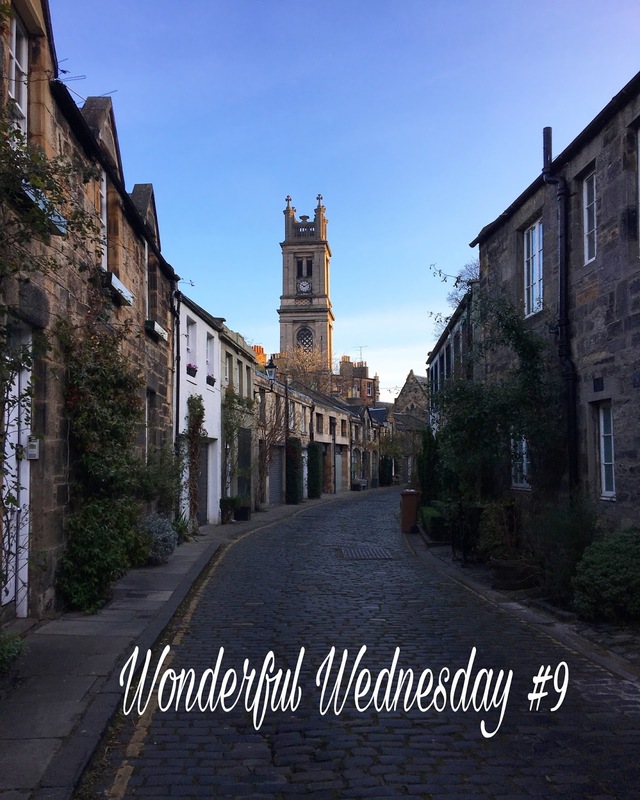 Edinburgh: A week ago I came back home after spending five amazing days in Edinburgh! Going to Scotland has always been my dream, so I couldn’t have been more excited when my parents bought me and my sister two tickets for Edinburgh as a Christmas present. The city was even more beautiful than I expected, vibrant, lively, stunning and full of history! It was so lovely to explore its hidden gems, drink many cups of chai tea latte in the cosy Starbucks of the Royal Mile, take lots of pictures everywhere and spend time with my sister, who is the best “partner in crime” you could desire when it comes to shopping, watching romantic movies and silly video until late at night and laughing out loud. 4. Brushed cotton bed sheets. Is there anything better than go to bed early, after a long, busy day and be wrapped up in the comfiest, softest and warmest brushed cotton bed sheets?!!! I must admit I came late to the party and I discovered this pleasure only the last fall, but its’ such a bliss to be able to skip the annoying part of going to bed, when you spend the first five minutes beating your teeth and trying to warm you up as soon as possible! As for all the daily little pleasures, once you discover them you can’t go back, so I ran to buy a new pair of this kind of bed sheets and I received another one as a gift from my friends…I must say I’ll enjoy them all the winter long. 5. Pancakes with bacon and maple syrup. I’m usually a morning person and I don’t like to waste my time in bed, but Sunday morning I decided to make an exception and, without putting the alarm clock, I slept until eleven o’ clock ( Gosh, I needed it!!) Once I got up I was craving for something yummy and tasty to eat, so I decided to try a new recipe: sweet potatoes pancakes with bacon and maple syrup! For me pancakes rhyme with holidays, so the simple fact to prepare a brunch like that put me in a very good mood! The procedure took quite a long time, but it was well worth it because the result was amazing: the pancakes were gold and soft and the combo with the crispy bacon and the maple syrup created a sweet and sour taste that was paradisiac!!! I wish you a beautiful day my friends and, please, let me know what has put a smile on your face this week! Sally, Jo, Helen, Michelle, Sarah, Kate, Cat, Sam, El and Kerri. Hello my sweet ladies!! !I’m so glad to be back after such a long time! During the past months life has been a rollercoaster, with many ups and downs, joys and tears, and I really needed to come back to this little safe corner, doing something that makes me happy. 1. The little drop in the temperatures, which means many more cups of tea and nights spent curled up on the sofa, under my soft woolly blanket! Summer has been unbearably hot this year in Italy, a nightmare for an autumn lover like me, so I couldn’t be happier to start wearing scarves and colorful tights and enjoy the brisk air of the early morning walks to work. 2. Call The Midwife: one Saturday I was wandering around in a wonderful bookshop when a little book caught my attention : “ Call The Midwife” by Jennifer Worth, which is the autobiography of the author, who worked as a midwife in the East London in the 1950. I didn’t buy the book that day but, some days later, I mentioned it to my friends and I discovered that there was the series on Netflix! As you can guess I was thrilled about it, and I was right because I was completely hooked to the series since the first episode!!! The main character is adorable, a strong woman, independent, self-confident, but also sweet and charming, and I love the setting, which is realistic and fascinating. I’m sure I’m going to finish it in a flash! 3. The Essex Serpent by Sarah Perry, a wonderful work of historical fiction that explores the gap between science and superstition, friendship and romantic love. I had heard many positive comments about this book before reading it and they were absolutely true. However, I must confess, I couldn’t empathize so much with Cora Saeborne, the main character, even if she is an unforgettable heroine, witty, independent and fiercely intelligent. 4. Bristol! Sentimentally speaking the first weeks of September have been quite hard, so I thought the best solution was to take a break from the routine and go away for some days. My cousin was leaving for Bristol for her Erasmus and I decided to go with her, to spend some days in England together, as we used to do when we were kids and our families went on holidays together! We had an amazing time there, with sunny days, a lovely Victorian house to stay in, and many delicious meals. Oh..and I did some shopping too: candles, second-hand books, a new pair of comfy slippers and some delicious herbal teas! Bristol was a balm for my soul and it brought me luck because, once home, little by little, things started to get better! 5. An afternoon to the Botanic Garden. One Sunday I went with my girls on a daytrip to Padova, a city not so far from where I live, easily reached by train. After a morning of shopping, where I bought the most wonderful pair of embroidered jeans and the cutest dress, we decided to visit the Botanic Garden, which was founded in 1545 and it’s the world’s oldest academic botanical garden that is still in its original location. We wandered around for hours, chatting, laughing and taking pictures…It was truly amazing to be surrounded by all those plants and gorgeous flowers from all around the world. 6. My new leather backpack. “Patience is a virtue” they say..and they are right! After months and months of wishing a backpack, looking for the right one and not finding it anywhere ( I wanted a Kanken at the beginning but it was pricey and I wasn’t fully convinced) last weekend I found THE ONE in Florence! It’s black leather with golden hinges and a big pocket on the front and, moreover, it’s the perfect size to be useful for work, but not too big to look like a schoolbag! I’m in love with it and I’m glad that I waited so long! Seriously if anyone is still reading my blog after such a long time I thank you from the bottom of my heart..it means the world to me!!! Have a lovely weekend and see you soon!!! Wonderful Wednesday my lovely ladies! It's so beautiful to be writing this happy list again and to feel a little bit out of the grey cloud that has wrapped me up since the beginning of the new year. Actually I still feel the need to do something to change my life, find new inspirations and a reason to wake up in the morning with a smile and go to work feeling full of energy and enthusiasm, instead of tiredness and frustration. There are people who can increase your self-esteem and others that make it fall to pieces and, unfortunately, I have to deal with one of these people every single day so, as you imagine, it's not easy at all! 1. Celebrating the 18 birthday of my little sister: the 22nd of January Linda turned eighteen and we decided to go for lunch in a cosy little restaurant on the top of a mountain not so far from home. We walked for an hour in the snow to reach the place and it was fantastic to breath the fresh air, chatting cheerfully, laughing and feeling carefree even just for a day! 2. "Jamaica Inn" by Daphne Du Mourier: this book is a masterpiece..I absolutely adored it!It was my first book written by this author and I was inspired to give it a try by the lovely booktuber Lauren from “Laurenandthebooks”. I must say it was exactly what I needed: a gothic romance, set in the moors of Cornwall, full of suspance and absolutely perfect for a stormy winter night. 3. "Once": on Thursday night I went home from work feeling desperate and in need of a cuddle, so I decided to cheer me up with a movie. "Once" is an Irish musical romance with Glen Hansard and Markéta Irglovà, which tells the story of two struggling musicians in Dublin. After more than a year away from this lovely city, I missed its magical atmosphere so much, so it was a pleasure to see again these familiar places that are so dear to my hearth. I must confess I went to bed with the desire to come back there, find a mysterious irish man with a red beard and charming eyes and live happily ever after ( we all have the right to dream a little, right?!). Oh..and one more thing...the soundtrack is absolutely amazing...I can't stop singing it! 4. Sushi time with my collegues : sometimes there's nothing better than a night out with friends to regenerate body and soul from the stress accumulated during the week!Actually I'm not a sushi lover, but once in a while it's funny to try something different from the dear old pizza, so last Friday night we booked a table in a cosy sushi restaurant and we spent some lovely hours trying to eat "nigiri", "uramaki" and other delicious things with unpronounceable names, with chopsticks without making them drop in our trousers!